Gilbert Waldbaur is an entomologist and a birdwatcher. 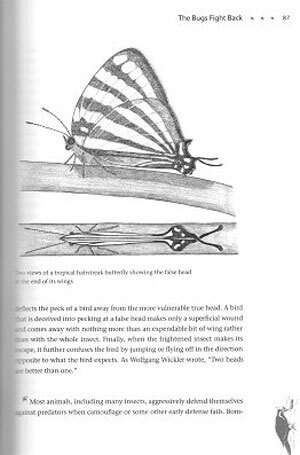 In this book he describes the interaction between birds and insects and the way they exploit each other. Harvard University Press, Octavo, paperback, illustrations. Artist/Author: Deeming, D. C. and S. J. Reynolds. Brings together a global team of leading authorities to provide a comprehensive overview of the fascinating and diverse field of avian incubation. Starting with a new assessment of the evolution of avian reproductive biology in light of recent research, the book goes on to cover four broad areas: the nest, the egg, incubation, and the study of avian reproduction. New research on nest structures, egg traits, and life history is incorporated, whilst contemporary methodologies such as self-contained temperature probes and citizen science are also discussed. Applied chapters describe how biological knowledge can be applied to challenges such as conservation and climate change. The book concludes by suggesting priorities for future research. 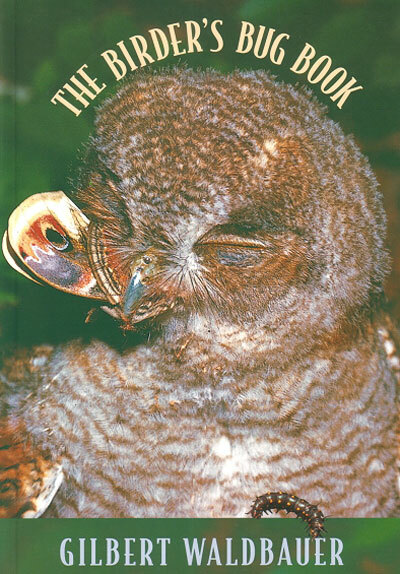 This book builds upon the foundations laid down by Charles Deeming’s 2001 work Avian Incubation (now freely available for download), much of which remains relevant today. 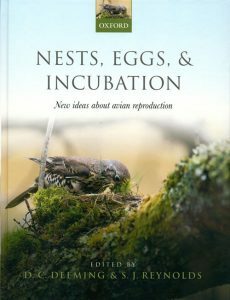 Read in conjunction with this previous volume, it provides an up to date and thorough review of egg biology, nest function, and incubation behaviour, which will be an essential resource for students of avian biology as well as professional and field ornithologists. Birds thrive in all conditions, from urban neighborhoods to the remotest oceans, driest deserts, and the wettest rainforests. From the tiniest hummingbird to the largest ostrich, their varied forms fascinate us – from drab to ostentatious, silent to raucous, earthbound to global nomad. 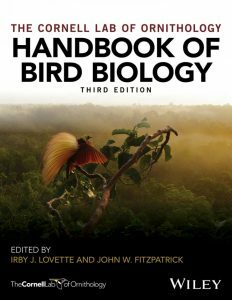 This much-anticipated third edition of the Handbook of Bird Biology is an essential and comprehensive resource for everyone interested in learning more about birds, from casual bird watchers to formal students of ornithology. Wherever you study birds your enjoyment will be enhanced by a better understanding of the incredible diversity of avian lifestyles. Arising from the renowned Cornell Lab of Ornithology and authored by a team of experts from around the world, the Handbook covers all aspects of avian diversity, behaviour, ecology, evolution, physiology, and conservation. Using examples drawn from birds found in every corner of the globe, it explores and distills the many scientific discoveries that have made birds one of our best known – and best loved – parts of the natural world. This edition has been completely revised and is presented with more than 800 full color images. 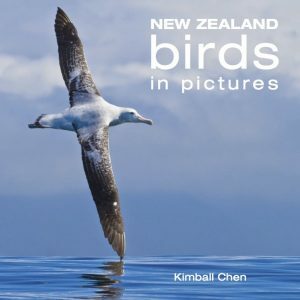 It provides readers with a tool for life-long learning about birds and is suitable for bird watchers and ornithology students, as well as for ecologists, conservationists, and resource managers who work with birds. 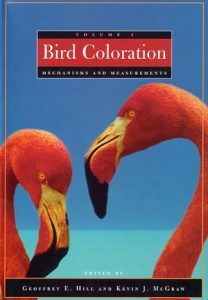 Bird coloration, volume one: mechanisms and measurements. Artist/Author: Hill, Geoffrey E. and Kevin J. McGraw, editors. This well illustrated volume synthesises more than 1,500 technical papers in this field. The focus is on the three primary mechanisms of colour production – melanin pigmentation, carotenoid pigmentation and structural coloration – but less common as well as newly described mechanisms of colour production are also reviewed in detail. The visual perception of birds and the best ways to collect and analyse colour data are, for the first time, presented as part of the review of mechanisms of coloration. This book will be essential reading for biologists studying animal coloration, but it will also be treasured by anyone curious about how birds produce and perceive their bold and brilliant colour displays. Volume two: function and evolution see [stock id 24736].